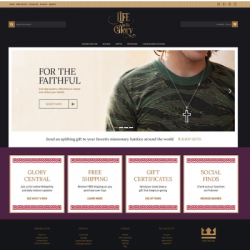 Concept: Introducing WineGiftsAndGoods.com! 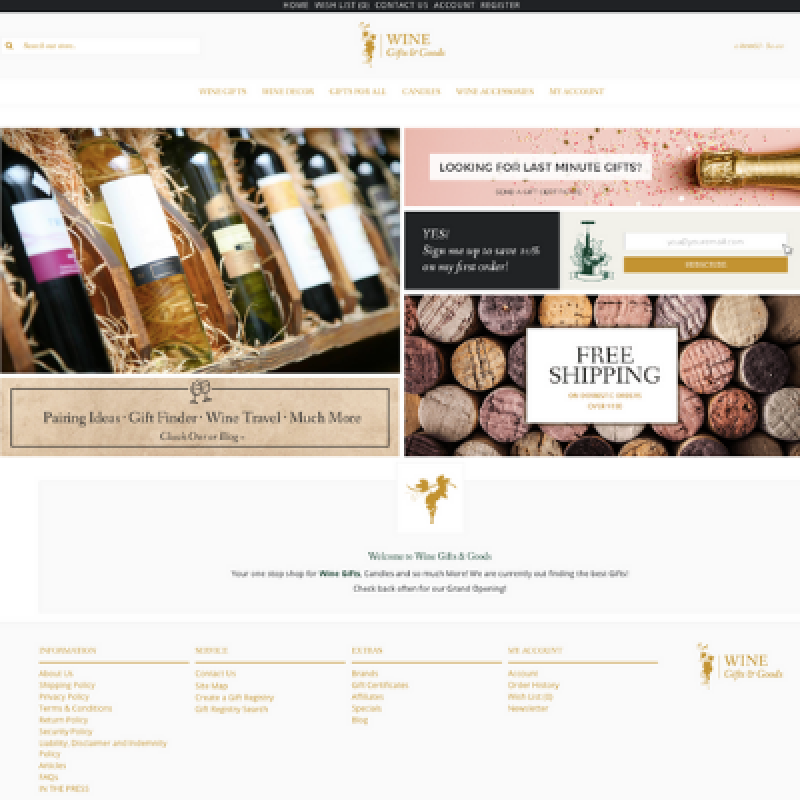 A sophisticated and stylish ready-made wine ecommerce business. People love to enjoy their favorite glass of vino and this online store will offer a fabulous collection for wine enthusiasts. Here they can shop the easy to navigate categories for wine gifts, wine decor, assorted gifts, candles, wine accessories, plus much more! All the products featured on the website will be from drop ship vendors so you are not required to hold any bulky or expense inventory. Our team will get you started by researching, contacting and gaining approval for the initial product vendors, as well as, loading the first 100 drop ship products for you. 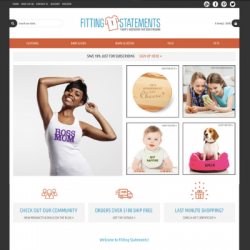 Once you become the owner of this website you will be able to select the next 200 products that we will load for you. This gives you the opportunity to select a portion of the products you want to sell online - it's fun and exciting! This ready-made internet business offers the essentials you need to get started in the online marketplace including all drop ship products, 40 hours of ecommerce consulting and access to our eLearning Library where you will be consulted on how to set up, run and market this online business. If you are looking to take your new online business a step further, you should consider the option our Platinum Package upgrade to give you a jump start with SEO, Social Media, Consulting and much more! 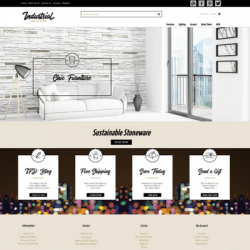 This 100% responsive design website will look great whether customers are shopping from their computer, smartphone or tablet. Plus, marketing the products on this site is simple with eye-catching rotating images and many additional features! You can also share pairing ideas, gift suggestions, wine travel inspirations, tips and more with your followers on the connected Facebook, Twitter & Pinterest pages, the blog, and newsletter too! Register or Log In now to review our current website pricing and learn more about how you can become the owner of this exciting online wine business. We will be happy to schedule a FREE Q & Q phone consult to discuss any questions you may have about starting an online business. Let's work together - we can help you get started! Wine Enthusiasts reported in January 2018, the market as a whole consumed $62.7 billion worth of domestic and imported wines, splitting very close to two-thirds U.S. versus one-third international. While the U.S. Wine Market Grows 2.9%. Mordor Intelligence reports the global wine market is valued at USD 287.39 billion in 2016 and is expected to reach USD 402 billion by 2022, at a 5.8% CAGR during the forecast period. The wine market is huge, largely dominated by the European and North American countries. The USA, France, Italy, and Spain are the largest producers and consumers of wine.